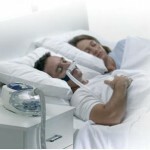 Home » Sleep Apnea » How CPAP Help Cure Sleep Apnea? Most of us don’t realize the importance of treating snoring problem unless your companion starts to have disrupted sleep and complain about it. Most often it has been found that people who had snoring problem from a long time and their snoring gets louder and louder, they may be acute victims of sleep apnea. It is usually a most common and potentially serious disorder in which you may have trouble breathing as it repeatedly stop and starts randomly when you sleep. However,it can be treated but most often it goes unrecognized. 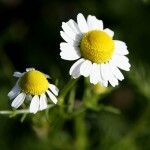 If you do not take care and treat, it could be dangerous and harmful to your health. So it becomes very necessary that you see a doctor as soon as you find yourself its victim. If you have tried self-help strategies and treatments and still you see no success, it becomes very important that you see a doctor. A sleep specialist is the one whom you should go to. He/she will evaluate the different symptoms that you have and will help you in getting an effective treatment. There are many treatments available for sleep apnea but you should invest your time to always explore the latest options. Basic treatments include, treatment of the pre-existing medical condition such as heart or any neuromuscular disorder. You may also be advised to use oxygen masks while you are asleep. There are many breathing devices too that can help in clearing the air passage obstruction that causes the problem. Medicines are available but they are available to treat the side-effect of sleep apnea that is sleepiness, drowsiness and fatigue. The most common treatment for obstructive sleep apnea is the CPAP or Continuous Positive Airflow Pressure. In most of the cases, patients experience an immediate relief from CPAP and get a huge boost in their mental and physical energy. The CPAP is a mask-like machine that is responsible for providing a repeated stream of air that helps in keeping your breathing passages open while you are asleep. They are not huge masks and usually come in the size of a tissue box. If you have used it previously but did not get satisfactory results you can always try the latest CPAP devices which have outdated the discomforted and irritating devices. 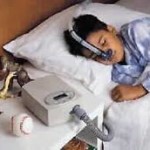 CPAP technology is constantly being updated to provide an improved method to cure. New CPAP devices are much light in weight and are more comfortable to wear. For your sleep apnea problem you can always take some steps to have some lifestyle changes that can help you in treating your problem. These usually include losing weight, quitting smoking and drinking. Always make sure that you frequently change your sleep position to enhance your breathing and always try to avoid sleeping on your back. If you don not treat it on the right time you may risk your body to high blood pressure, stroke and risk of heart failure. 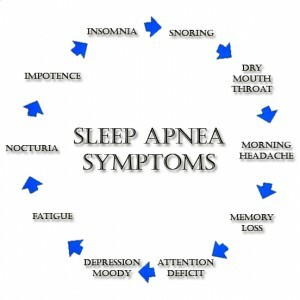 So make sure that you go to a doctor and get required treatment for your sleep apnea problem as soon as possible.